Manufacturer of a wide range of products which include pattern block (student set), attribute blocks and sorting ring. We are the manufacturer of Attribute Blocks. 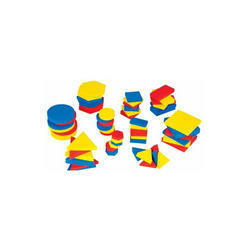 Each set of Attribute blocks includes shapes in distinct colours, sizes and thickness which allows child to sort and classify based on different attributes such as colours, shapes, big/small, thick/thin etc. 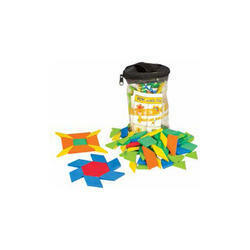 This manipulative not only fosters hands-on learning but also helps in developing pre-number sense and math vocabulary. We are the manufacturer of Sorting Ring.These Plastic foldable circle rings can be used in different ways from elementary to higher secondary for grouping, set theory and Venn diagram demonstration.